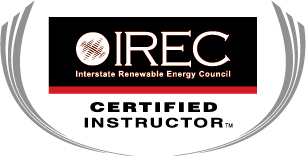 If the worst happens to your renewable energy system -- fire, flood, lightning strike or worse -- we can assess the damage, estimate repair and/or replacement costs, and provide proper paperwork for your insurance companies, FEMA, and anyone else who requires documentation from you for the claim. 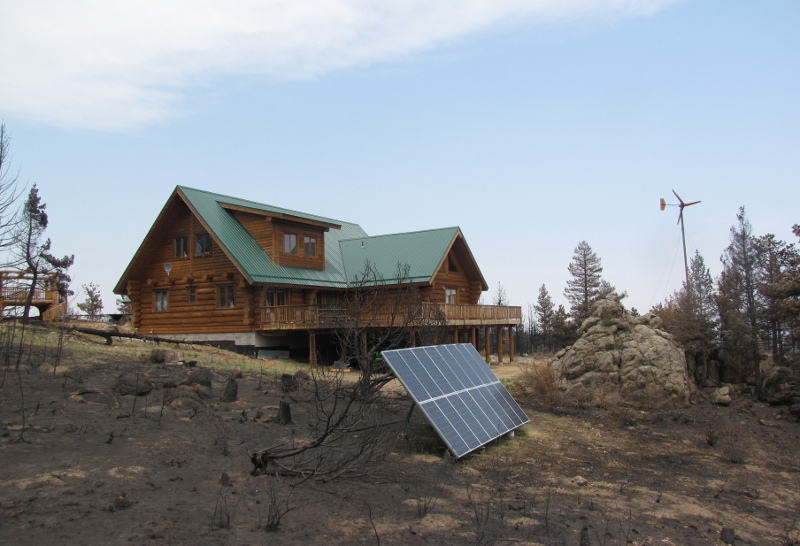 This off-grid PV array above was toasted by the High Park Fire of 2012. The array, with most plastic parts melted, was still operational at lethal voltages and a serious safety hazard. 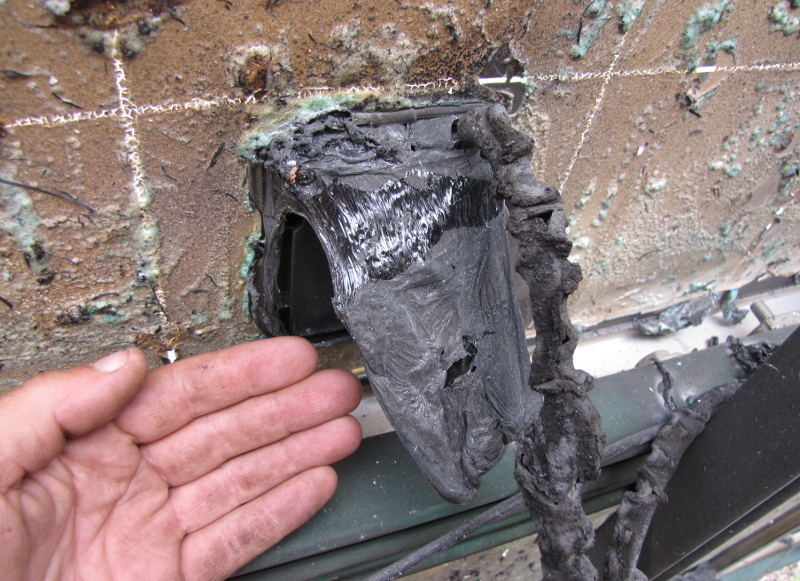 The wind turbine shown below also suffered damage, and needed a complete home run re-wiring. 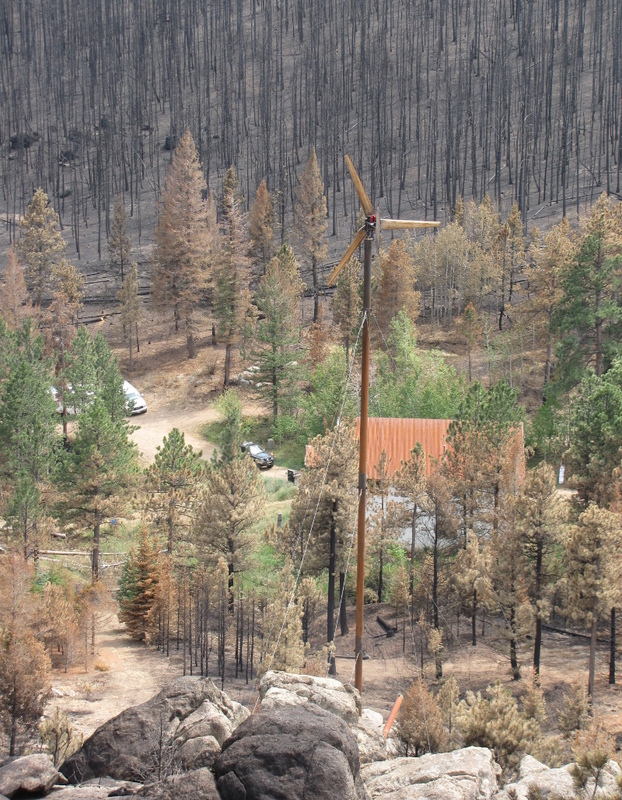 Fortunately the expensive guts of this wind turbine were way up on a tower when the wildfire blew through. Only the wiring to the power center was torched...but it pays to have an expert come in and assess the damage.